This comes on the third anniversary of the introduction of the charges. 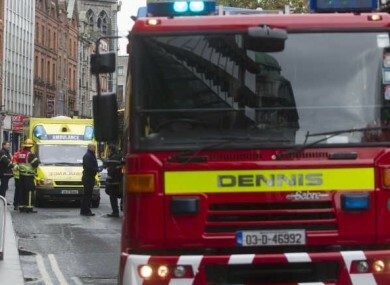 A DUBLIN COUNCILLOR has called for a review of call-out charges for the city’s fire service, which he has described as “too high, confusing and unnecessary”. Fianna Fáil’s Jim O’Callaghan is calling for the change to be made on the third anniversary of the introduction of the charges. At current, residents within the Dublin City Council catchment area are required to pay a call-out charge of €500 for attendance at a domestic incident or €610 for road crashes. Since the introduction of the charges the Dublin Fire Brigade has been called out to over 2,800 incidents. This has generated more than €1.2 million for Dublin City Council. However, a large amount of this has gone unpaid. More than 50% of the charges from last year remain outstanding – although it is thought that this figure could come down as individuals pay off overdue fines. My main concern is that this call-out charge may be acting as a deterrent for people from phoning the fire brigade which serves only to put lives at risk. “It was introduced as a revenue generating exercise but it has failed in this regard therefore the Council should acknowledge this and make a decision to either reduce the charge considerably or scrap it altogether,” he went on. Email “Dublin councillor calls for review of €500 fire call-out charge ”. Feedback on “Dublin councillor calls for review of €500 fire call-out charge ”.